Tech-sectors across the globe may undergo a season of twists often with some larger acquisitions and some shutting down decisions. A similar surprise story happened recently and it was in the limelight for a while. Microsoft being the leading platform and Productivity Company for the mobile-first, cloud-first world, astonished the world with a major acquisition. LinkedIn is the world’s professional career platform, ensuring high productivity and successful growth rates over the years. It fortuitously met with a net loss due to stock- based compensation. A letter from Jeff Weiner, CEO of LinkedIn, reveals the deal with Microsoft. LinkedIn shares sank as its market value was shredded to $11 billion in February. 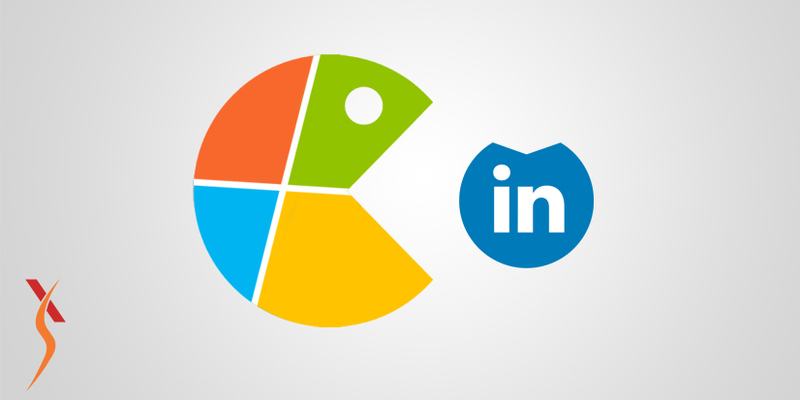 Despite, knowing that LinkedIn is confronting with recession, Microsoft announced that it would pay a generous price of $26.2 billion to buy this professional social network. Thus, making it as the third-largest acquisition in the history of the tech industry. The deal was accompanied by some substantial promises from Mr. Weiner, CEO of LinkedIn and Mr. Satya Nadella CEO of Microsoft. They promised that this deal would transform businesses and workers productivity worldwide, albeit, those tweaks seem quite interesting for us. It could signal an impending tech-buying bout. 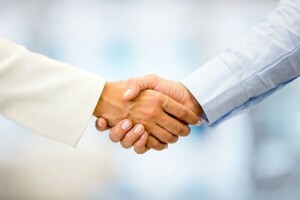 Acquiring LinkedIn is part of Microsoft’s smart plan. LinkedIn firm has a huge number of stalwarts, a team of data scientists, a commodity coveted by tech firms. These erudite folks design algorithms to find patterns in big piles of digital information. LinkedIn will be useful to Microsoft for many reasons, for it has detailed information about its users, including their employment history, education and whom they know. Those data can be fillips to Microsoft as it attempts to build its rapport with customers amplify its sales force. Such data are crucial for keeping a healthy flow of customers coming to a business or a career opportunity. The sole purpose of this is to keep the shareholders happy and also solve the issues faced by the customer, focusing on, how well it adds users to LinkedIn platform more quickly and precedes about how it can be lucrative from their data. Sprucing up with LinkedIn, however, Microsoft will become better at predicting what information users might find useful, suggesting news articles related to a project someone is working on or recommending a friend of a friend online who might be able to help an employee with a task at work, up to date with latest industry standards. Their mission to connect the world’s professionals to make them more productive and successful and the vision is to create economic opportunity for every member of the global workforce. Why LinkedIn is worth $26 billion? LinkedIn has the world’s talented professionals. Though it is not popular as Facebook, Twitter or Instagram, it has a wide range of lucrative audience, where companies across the world are ready to sum huge money to hook the skilled employees from LinkedIn. It effectively has the potential users for selling premium subscriptions. It took a decent loss of $46 million, but their Growth rate was sustainable unlike other tech companies. 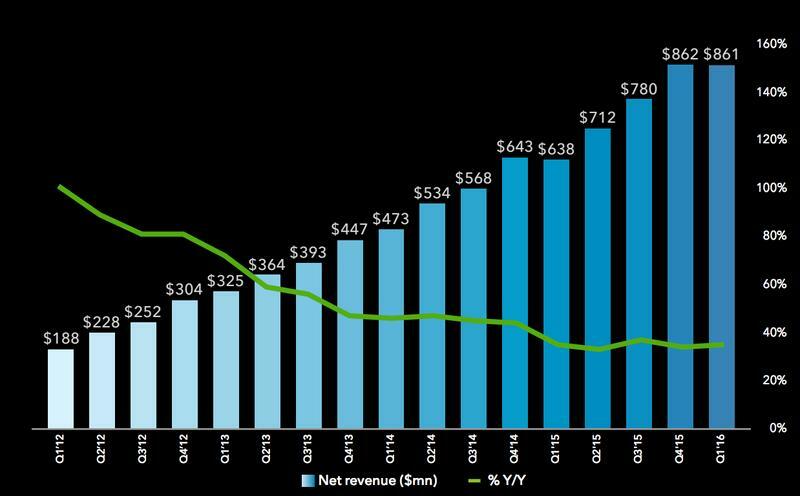 Following graph shows the net revenue growth of LinkedIn. Precisely, this might be the reason that lured Microsoft for the acquisition of LinkedIn, despite the threats it crossed over. New Bond – will it work? This deal may mark a niche, for it is under the leadership of CEO Nadella, the collaboration with LinkedIn throws a perfect strategy to provide online services to business customers and strengthen the relationship with the customers, which LinkedIn already served. For instance, If LinkedIn offers a Facebook-style Newsfeed to its users, Microsoft will plan to integrate this Newsfeed into the Office 365 user interface, helping their users to keep track of developments in their professional network while working on a spreadsheet or presentation. However, both these titans hope to offer up extraordinary visions of the impact of the technology, which in turn, would enhance customer’s access to more data.